Telecommunications services provider Bharti Airtel in association with the TERM Cell (NCR) and Department Of Telecommunications (DoT), recently organized an awareness drive to sensitize its network of retailers and distributors on compliance guidelines for new activations. Conducted as part of Airtel’s continued efforts to ensure highest standards of DoT guidelines by its retail partners, the session educated the distributors on correct measures for customer verification and documentation as prescribed by the Government. 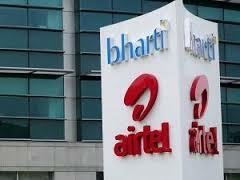 Commenting on the initiative Sameer Chug, Director – Legal & Regulatory Affairs (India & South Asia), Bharti Airtel said, “As a responsible corporate, compliance of all requisite guidelines laid down by the Government is of utmost importance to us. We ensure that thorough customer verification at the time of new activation is an undisputed mandate adherence by our distribution partners. The session was Chaired by Ram Narain, Senior Dy. Director General (TERM), Department of Telecommunication. Also present was N K Chhoker, DDG, TERM Cell Delhi along with Airtel officials. Retailers and distributors were sensitized on the important role they play in ensuring any potential misuse of mobile connections.